Andrew Jones’ (U.K.) self-titled first full release as Shinjibomb shows an evolution in style since his first releases on the much loved Into This Wired Abyss compilations. The music on show here blends his love of expansive movie soundtracks, psytrance and psychill, post-rock and metal, sci-fi and manga, which coalesce and bloom in a truly progressive style. Delicate and lush reverberated soundscapes swirl and push ever forwards progressing to foot stomping moments of light amidst the dark. This is music to absorb and envelop you in its depths, to get lost in, and that rewards the listener with tranquility and exhilaration. Mastered by Adam Goodlet @ Re:Creation Studio, U.K., artwork by Shinjibomb, original image courtesy of NASA. MP3 Download | FLAC Download | WAV Download · Download count: 13,743. Much love for this unique release! Well worth a download. It has a cinematic quality reminiscent of Ishq and Solar Fields. It´s only one problem with this album, it ends! I could listen to these sounds forever! After listening! 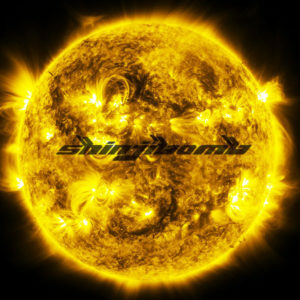 Even often listening Shingibomb album still that’s fresh & in my head not any pain! Or my head is painless. Wonderful, Amazing also brain’s friendly. In my opinion Shingibomb is Excellent. I love everything about this release! Thanks Shinjibomb and Ektoplazm! Thank you for the kind words people, they mean a lot! They add to my internal momentum to push and craft some new material!